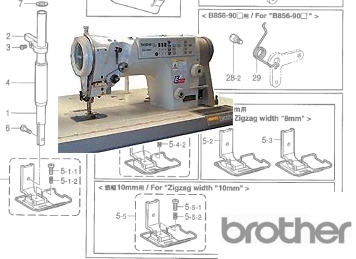 Need A Part, Needles Or Service for your BROTHER LZ2-B855E or LZ2-B856E ? CALL US, we would be happy to help. We can supply everything you need for these machines. Cant see what you need ? Check out the Parts and Service Documents or Call and we'll sort it for you.